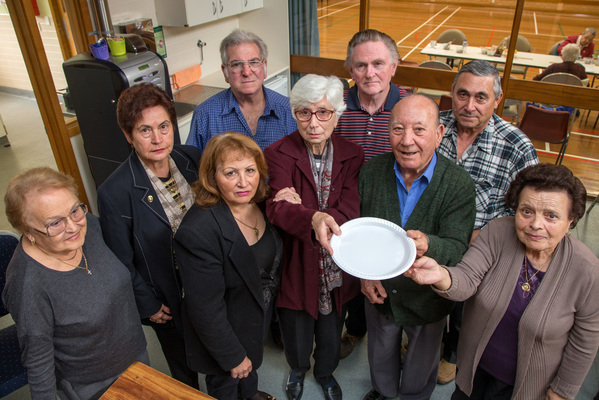 STRETCHED to live within their $150 million annual budget, Greater Dandenong councillors have been bickering over giving an extra $100 to an elderly citizens club’s Mother’s Day lunch. And while they also knocked back $30 extra for a fund-raising sausage sizzle, they agreed to spend $460 on a judge for a record attempt at the hokey pokey. At their meeting on 29 March, councillors voted down the extra funds for Italian Elderly Citizens Club Noble Park’s free three-course lunch for up to 80 members. The group had asked for $440 and received $340 under the council’s community response grants program. President Rita Giaquinta said the club volunteers would make cuts “elsewhere” to stage the $2000 lunch, which includes a door prize for the oldest attending mum. “It means a lot. It’s something they look forward to. In the same motion, the council refused to splurge an extra $30 for fund-raising sausages for Cyrene Centre, a free alcohol and drug counselling service run largely by volunteers. The centre had applied for $550 to help it raise at least $1000 towards its rent and utility costs. The council granted it $320. Councillor Maria Sampey had pushed for the extra funding after a successful applicant withdrew their submission, freeing up $150. She took issue with how “sport seemed to take priority over the elderly” in the allocations. At the meeting, the council shared $7070 among 13 applicants at the meeting, including $460 for an adjudicator at a school’s Australian record attempt at dancing the hokey pokey. There was also up to $750 each for individual sportspeople. “This (elderly citizens) group barely survived last year,” Cr Sampey said. “What I’d like to know is what criteria is relied upon to assess various applicants. There seems to be such a large difference between some getting a large amount and some getting a pittance. Cr Sean O’Reilly said the grants process shouldn’t be beholden to “Cr Sampey’s magic wand”, and ratepayers’ money wasn’t a “magic pudding”. Cr O’Reilly said the council had a set process and shouldn’t hand funds out like “Monopoly money”. “Every single dollar of ratepayers’ money should be put through a stringent process before it’s spent. In opposing the motion, Cr Matthew Kirwan said he believed councillors shouldn’t interfere in the officers’ grants decisions. He said the council should re-look at the grants criteria once a year, which he believed should favour groups like Cyrene and the senior citizens rather than individuals. Cr Roz Blades said awarding the extra funds was a “common sense” solution. “It’s about assisting people in the community who are volunteers. These policies aren’t inviolate. They’re moveable feasts. “There comes a time when common sense has to prevail and this is such a time. Mayor Heang Tak, in casting the deciding vote, said he supported elderly groups but that the council had a policy in place.